The owner of one of Brick’s largest shopping centers is asking the township’s planning board to approve a small addition in order to square off an end of one of its buildings. 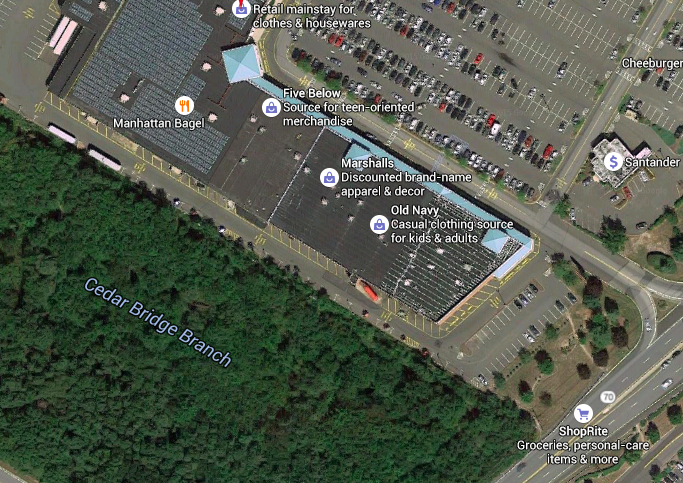 Urban Edge Properties, the owner of the Kohl’s and Shop-Rite plaza at the corner of Chambers Bridge Road and Route 70, has proposed the construction of a 3,757 square foot addition to the end cap unit adjacent to the existing Old Navy retail store within the existing shopping center. “You don’t really notice it when you’re standing there, but the building ends on an angle, and they’re proposing to put a small addition on to square it off,” said Township Planner Mike Fowler. The request was heard by the planning board at its Nov. 4 meeting but has been carried to a new meeting date in January, according to officials. According to planning documents, the project requires re-approval of several variances that were already in place for the existing shopping center. The number of parking spaces in the shopping plaza will remain the same, at 1,148.